For Muhammad Danjuma Katsina, an author, journalist and activist, making his immediate environment better, through no matter how little, has been his greatest joy. Born on 5th February 1972 in the ancient city of Katsina, Danjuma, who has so far written 11 books, started his early educational pursuit at Dan Marna Primary School Katsina, from where he proceeded to Government Secondary School Ikara, Kaduna State before bagging a Diploma in Public and Private Law from Katsina Polytechnic. Danjuma also holds a Diploma in journalism from Ahmadu Bello University Zaria and a degree in Criminology and Security Studies. He is presently pursuing his masters’ degree on Peace and Conflict Resolution at the Nigeria Open University (NOUN). His love for literature writing, especially in his native language, has made him a darling for many. Some of the books he has written are ‘Dan Makaranta’, (a true story on the school life of a boarding school student); ‘Mai Yadda Yaso’ (on Allah’s dominion over everything); and ‘Fatawa’, (a book on his ordeal and struggles during the Abacha regime). Others are, ‘Yaro Nagari’ (how to be a good child); ‘Wurare Masu Tarihi da Albarka a Makka da Madina…Cikin Hotuna da Bayani’ (a pictorial book on the importance and historical places in Makka da Madina); ‘Aikin Hajji a Ranakun Hajji’ (which dwells on Hajj rites and performance). Danjuma also authored ‘Yadda ake Zama Marubuci’ (the art or writing); ‘Tarihin Wahabiyanci da Kafuwar Daular Saudi Arabiya’ (a brief history of Wahhabism and Saudi Arabia); and ‘Tada Kayar Baya da Sauran Labarai’ (a collection of seven short stories). The journalist and activist still recalls and cherishes his first article published in 1989 in the now rested first Northern Nigeria-owned vernacular newspaper, Gaskiya tafi Kwabo, titled ‘Matasa ina Zamu Sanya Kanmu?’ (a piece addressed to the youth). Later on, his sustained writings inspired debates across several spheres of life. His open letter on the then trend of Hausa love novels generated much debate. ‘Zuwa ga Marubutan Soyayya’, an article written in 1993 has now become an academic research piece and studies in higher institutions of learning for linguistics students. With numerous write-ups, mostly in Hausa vernacular newspapers and magazines, Danjuma also hosts and belongs to several Hausa media platforms. He captures his aspiration for writing in Hausa thus: “Abinda ya sa nake rubutu da Hausa shine don sako na ya isa kai tsaye ga alummar da nake magana dasu..ba tare da neman fassara ko sharhi ba,” (I write in Hausa in order to get to my target audience without the need for an interpreter or commentator). 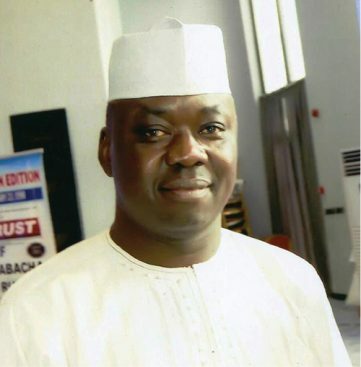 Danjuma founded the Katsina State chapter of the Association of Nigerian Authors (ANA) and held various positions therein, and is chairman of the Writers bureau from 2013 to date. He was the secretary, organising committee of the third Northern Nigeria writers summit which took place in Katsina in 2017 and the Katsina co-ordinator, Northern Nigeria Writers summit 2018. 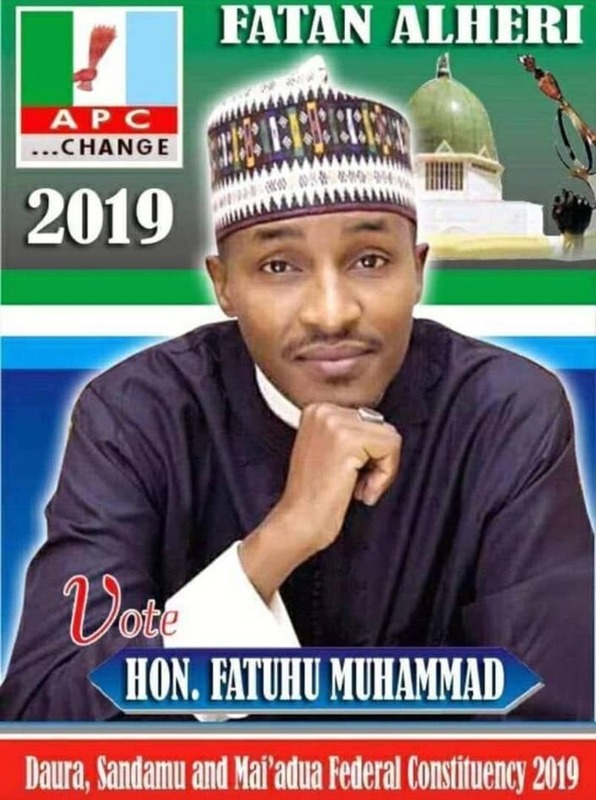 He runs his personal outfit, Matasa Media Links, a consultancy firm, aside other online platforms like Katsina City News and ‘Taskar Labarai’ which have large followership of who is who across the state. His activism has led to several run in with law enforcement agencies which led to several arrests and blacklisting for alleged uncomplimentary writings. He was hunted by security agents during the Abacha regime over suspicion of working with late Tajudeen Abdurrahim, a one-time Daily Trust African man of the year, who was suspected to be the brain behind Radio Kudirat. Danjuma, has met and interacted with several influential persons. When his path crossed that of late Inspector General of Police MD Yusuf’s, both saw the need for the establishment of a centre that will provide jobs and give better life to the younger ones. In 2000, Katsina Vocational Training Centre was established with the sole objective of identifying youths engaged in drug abuse and political thuggery with a view to giving them a new lease of life, along with other vulnerable ones to acquire skills and empowerment free of charge. To date the centre, under the supervision of Danjuma, provides vocational trades skills training in over 27 areas and has trained 11,551 persons since its inception. Some of the centre’s achievements include the establishment of many government owned outlets like the Babbar Ruga Rehabilitation centre, the state department for employment and promotion and vocational training centres like, Katsina Youth Craft and Daura Vocational centre. Also, the centre runs special classes at the state NDLEA command that trains drug addicts during rehabilitation processes and pays visits to prisons and works with several other NGOs. The centre has continued to blossom with the creation of the MD Yusuf Research and Documentation Centre which has been organising yearly seminars and workshops, aside assisting persons on research to boost capabilities and advance the frontiers of knowledge. Danjuma believes that no matter how little one does to change a life, it is worth doing. His desire to empower, especially the less privileged, is second to none. A recipient of many awards and certificates, Danjuma is married and has six children.